There’s so much involved with reloading your own ammo. 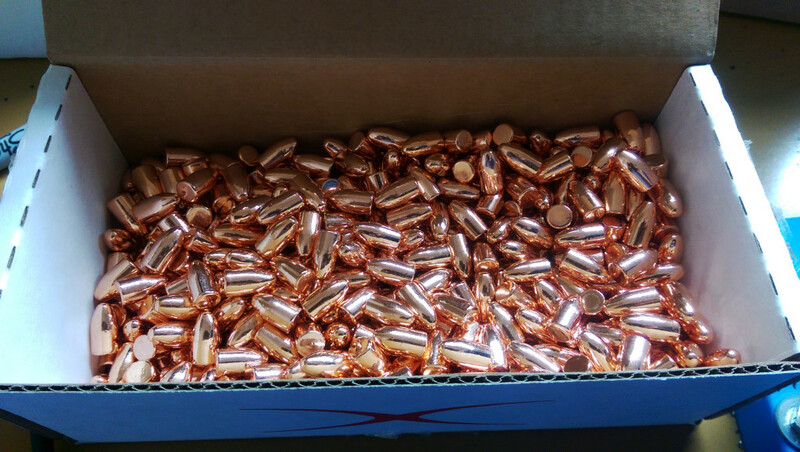 There are many reasons to load your own ammunition, but making the decision to be your own ammo manufacturer is only the beginning. Once you’ve figured out what caliber you want to load and why, you’ll need to start buying components and equipment. But don’t worry, we’ll walk through everything involved with the biggest expense you’ll likely face…the reloading press. 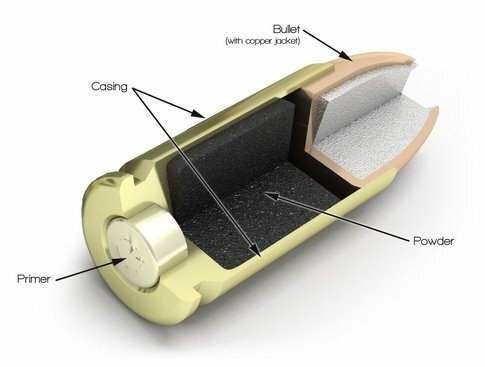 Components are all parts of the ammunition you’ll be making: the primer, the brass casing, the powder that goes inside the casing, and the actual bullet itself. Picking the exact bits and pieces will depend on all sorts of factors besides caliber: why you’re loading, what’s available, or even just “what your gun likes”. While many people who reload will end up with some preferences and stock up on their favorites, you will likely find that what you use will vary over time. In smaller quantities, most components don’t cost a lot of money, so switching around until you find what you like is easy. 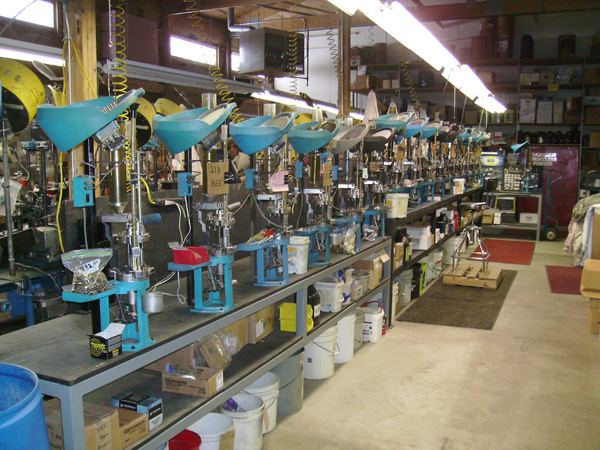 The primary piece of equipment, the reloading press, is usually a much larger investment. 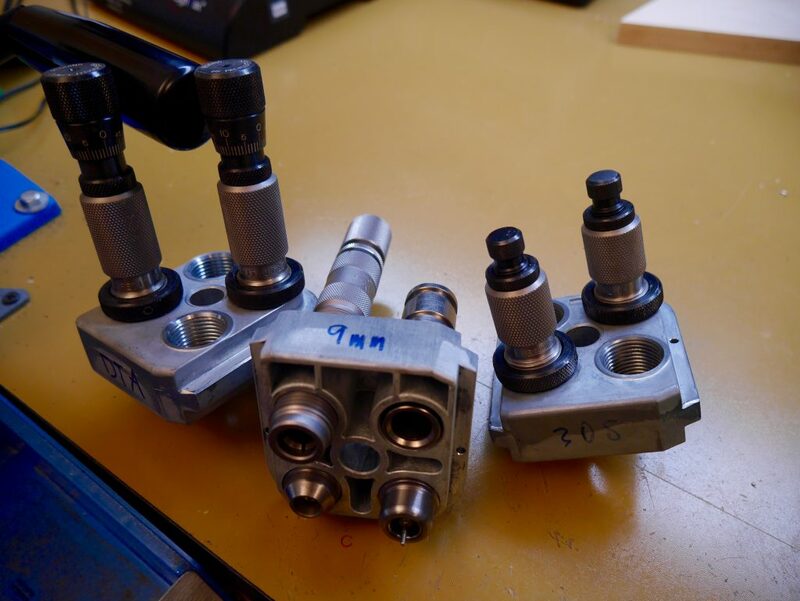 Besides the cost of the machine itself, you’ll need additional parts (“dies”) for each caliber you load in addition to the one set of dies that are usually included in the base cost of the machine. You may also want to add automation to your press, which adds even more money. And once you’ve started spending that cash on one machine, you might need to start over from the beginning if you decide you don’t like your setup after all. A reloading press is a good place to “buy once, cry once” and pick out something that will work for you…both when you’re a newbie re-loader figuring everything out and when you become an expert at cranking out ammunition that perfectly meets your specs. Really dig deep to see if how you imagine yourself shooting in a few years. I’m going to start with the assumption that you’ve decided to start reloading because you want to make relatively high volumes of ammunition of a single caliber for yourself – at least a few thousand or more rounds every year. I’m also assuming you want to make a fairly standard pistol caliber like 9mm, because oddball calibers and rifle ammunition get a bit more complicated in terms of features and extra equipment you might need. And there’s a lot of extra equipment for reloading, even if you are focusing on a common caliber. We’ll just cover the heart of the system here – the reloading press. 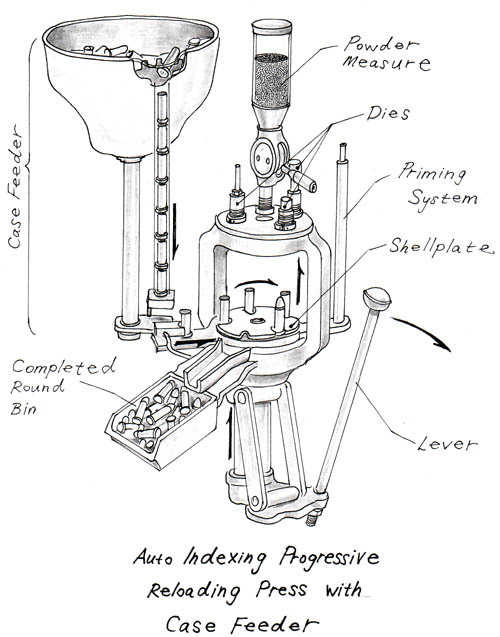 I recommend that most people start with a progressive reloading press. While a single stage or turret press can usually be found new for under $200, and a progressive press usually starts at about twice as much, a progressive is more flexible for future reloading needs. That’s contrary to the popular advice to buy a single stage or turret press first. The thought process behind a single stage or turret press is that they’re simpler because you to load one round at a time. By only putting in one brass casing and running it through each step of the process, you can supervise a single round through the entire loading process. Not sure of all the steps in reloading? Have a quick look at our Beginner’s Guide to Reloading before continuing. 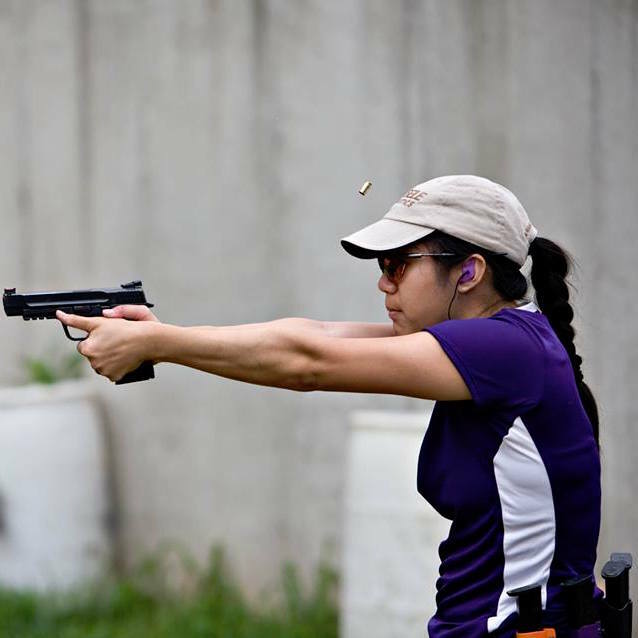 While it’s a little slower, that method is recommended so that you can pay close attention to your ammo as you load it, especially if you’re a beginner. 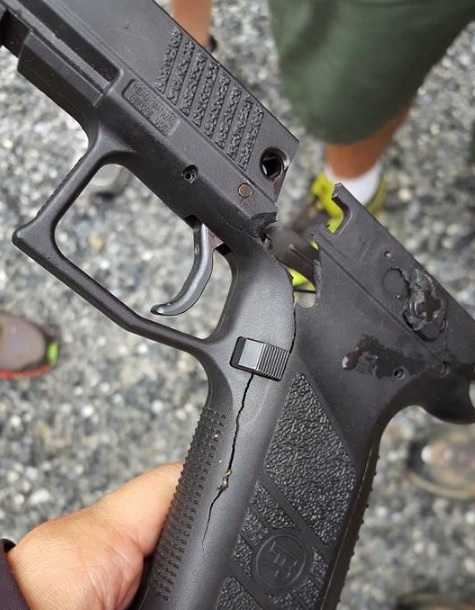 If you skip over a step, or repeat one instead of moving on to the next, the defective round you just loaded can cause a major problem when you try to shoot it. For example, if you seat a bullet into a casing without adding powder first, or if you add too little powder, you will have created a squib. Squibs will fire when you pull the trigger, but the bullet will not travel out of the barrel. If you’re unfortunate enough that the next round chambers, the next bullet that tries to move down the barrel can damage your gun and even make the barrel split. This example shows multiple bullets piling on each other. The opposite problem occurs when you repeat one particular step: putting powder into a case. It’s called a double charge and those are bad news because they can cause “kabooms” and literally blow up your gun. You need to look into every case before putting a bullet into it, use a sensor that can check the powder level, or choose a powder the fills the case volume so much that you can’t accidentally put in too much. For most beginners, it’s easier to pay attention to loading just one round at a time so that you can move through each step in order instead of keeping track of what needs to happen at each station in a progressive press. But if just one step for one round wasn’t properly performed by the press, then not only do you have to figure out how to fix that round, you have to make sure that the error doesn’t cascade into the other partially completed rounds on the press. That might mean checking each of the four or five rounds in the press at that time, to make sure they are in the correct state for what will happen to them after you pull the handle again. As mentioned above, with a single stage or turret press, you only have to do one thing at a time, for one round at a time. That makes it a lot harder to screw up your reloading. Just because a progressive press allows you to continuously insert brass casings and have several in different stages of loading, doesn’t mean that you have to take advantage of that feature. 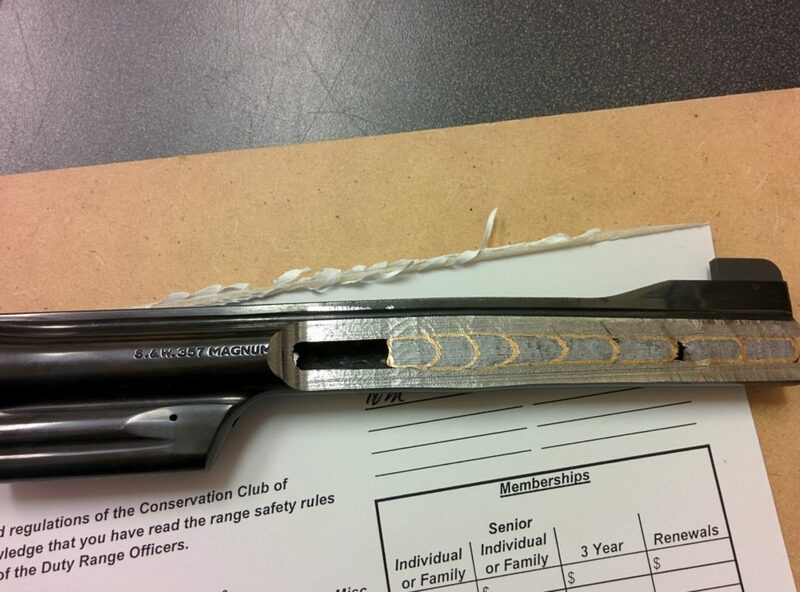 You can simply let one casing ride through each step in turn and only insert a new piece of brass when the last piece has become a complete round of ammunition. When you do that, it’s almost exactly like reloading on a turret press: less to pay attention to, but limited speed. There’s an upper limit on how fast you can load with a single stage or turret press, but no lower limit on how slow you can go on a progressive press. What is the maximum safe ammo production you want to limit yourself to? If you’re getting into reloading because you want to be able to shoot more, less time loading ammunition is certainly something to look forward to once you become comfortable using a progressive press. When you’re ready to start making lots of ammo fast, you’ll be thankful you went with the progressive. You can’t, after all, go the other way around, and turn a single stage or turret press into a progressive press. There’s another reason to go with a progressive: how much you need to monkey around with the machine both during use and when you decide you want to load a different caliber. Remember how we talked about “dies” above? Each die plugs into a reloading machine to perform a different operation in the reloading process, kind of like how you can put different bits in a power drill to drill holes or screw in screws. In a single stage press, you get one die at a time. If you want to do something else, you need to change the die. Even with the various “quick-change” mechanisms available, it’s a time-consuming process. 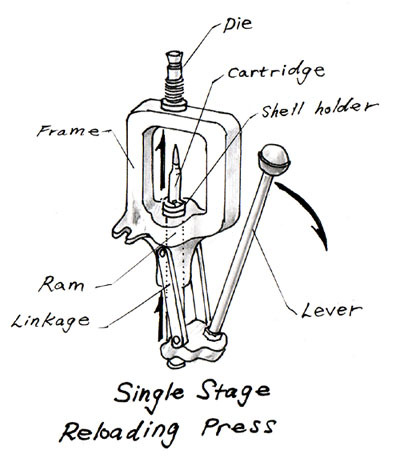 Most people using single stage press will process a number of rounds through one step before changing the die and moving on to the next step. A turret or progressive press allows you to have all of the dies you need installed at once and process complete rounds of ammunition one after another. After you install and adjust your dies, you will only need to check regularly that they are still set correctly. When you want to load a different caliber, you will change several dies at once, again often with “quick-change” mechanisms and tools. Some models even allow you to swap out all of the dies you need to change all at once, rather than one at a time. Either way, there’s no need to play with dies during the loading process, only when changing between calibers. That makes loading both easier and faster. And if you’re going for speed, skipping all the way to the progressive press for its speed potential is the way to go. Deciding that a progressive reloading press is best isn’t the end of your decision-making process though. Now you’ll need to decide which one to buy. A Dillon Square Deal B is an excellent deal to dip your toe into the reloading world, particularly when you take the lifetime guarantee into account. Dillon has a reputation for building solid pieces of machinery, but parts can break on any press. As a new reloader, you’ll appreciate being able to call the manufacturer up for help and replacements when something goes wrong. The Square Deal B is capable of loading high-quality ammunition at a reasonable speed, though it won’t be as fast as some of the other options. The press includes many of the features you’d expect to find on a higher end machine, such as an auto-indexing shell plate that advances automatically with each pull of the handle, but at an entry-level price and a small footprint that won’t take up a lot of space on your workbench. You can only load pistol calibers on it, but when you’re looking to get started without a big investment, the Square Deal B is a great choice. Be sure to choose the combo that has the correct caliber you want to load. If you anticipate up front that you’ll be loading larger quantities of ammunition, especially in a single caliber, then consider spending a little more now for a more full-featured reloading press. Mid-grade reloading presses are also a good choice if you’d like to load more ammunition in a given amount of time, around 500-600 or more rounds per hour instead of the 300 or so rounds per hour in a starter press. For less than a few hundred dollars extra, these higher end presses offer more stations than the more basic starter presses so that you can install more dies to do things like check powder levels or swage primer pocket holes to remove crimping that can interfere with reloading. They are, however, more complicated to set up to run smoothly, especially if you intend to reload several different calibers. While many people would slot the Dillon RL 550B ($500 with Caliber Conversion) or XL 650 (MSRP $650 Caliber Conversion) here, my pick is the Hornady Lock-N-Load AP. It has many of the higher end features of the XL 650, but can often be found at a price that rivals the RL 550B. Note that the Dillon’s usually come with a caliber conversion kit while for the Hornady you will have to buy caliber specific shell holders and bushings. Hornady also regularly offers 500 free bullets with the Lock-N-Load AP, making the effective price even lower if you were planning on trying those bullets anyway. 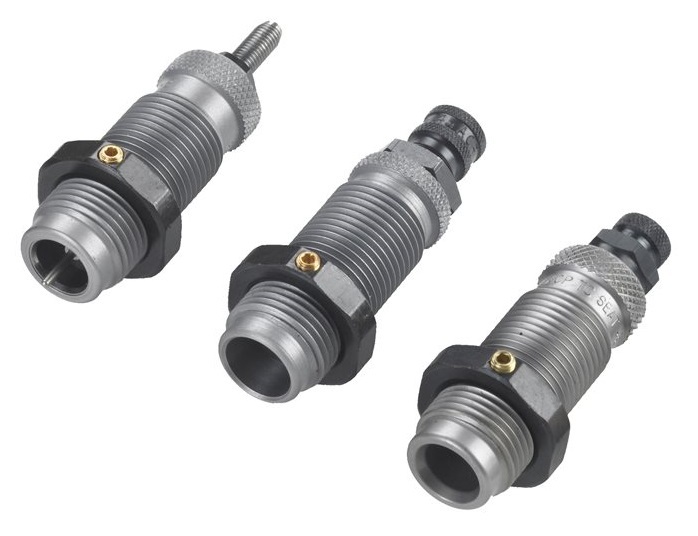 The Lock-N-Load AP supports relatively simple caliber changes and Hornady’s own line of press automation upgrades so that you don’t need to work with parts from other manufacturers if you decide to go that route after you get started with manual reloading. People who load tens of thousands of rounds a year in a single caliber often consider the Dillon Super 1050 ($1,800-$1,950) the only choice. As its name implies, it’s capable of loading over a thousand rounds an hour, even when manually operated. It can support even more operations during the reloading cycle than mid-range presses, allowing you to more efficiently prepare your brass without extra steps before loading it into the machine and with fewer problems once it’s in the machine. Among other things, that means you don’t have to leave something else out in order to be able to swage your primer pockets during the loading process. Complete, off-the-shelf automation systems are also available for this reloading press so that you need even less effort to make your own ammunition. However, switching between calibers is more of a hassle than many other systems on the market, so it is best suited to one-caliber shooters. The Super 1050 only has a one-year warranty, unlike the other reloading presses in the Dillon family, but breakages seem to be rare on this heavy-duty machine that is even found in some small commercial ammunition manufacturing shops. Most reloading presses require the operator to manually place brass casings and bullets while pulling and pushing the handle up and down. If you’ve never reloaded before, you can imagine how that gets tedious and tiring. Fortunately, there are a number of add-ons available that can automate part or all of your reloading press. At the most basic end of the spectrum are case feeders and bullet feeders, which automatically place new brass casings and new bullets into the press. When they’re working, all you need to do is pull the handle and keep the various components topped up. You can motorize the handle-pulling part too, using an “auto drive” that adds a motor to move the handle without any physical effort on your part. While you might be able to pull the handle faster manually, it’s less work to let the motor do it. Like other automation tools, an auto-drive frees up your attention to watching for problems, such as a bullet being dropped into a casing upside down. For all of the bells and whistles in automation right now, the two most popular options on the market for home users who edge into small, domestic reloading factory territory are the Mark VII (MSRP $2,525.00) and the Ammobot (MSRP $1,595.00). Now that you’ve decided on a reloading press, there are still a lot of things you’ll need to buy and learn. Even before you start using your new press, you will need tools like a powder scale and calipers to make sure that the ammunition you load is within acceptable specifications as laid out in a reloading manual. You might also appreciate accessories like a primer flip tray to speed up putting primers into your press, or a tumbler so that you can reuse brass casings you’ve picked up at the range. Then as you get going, you will probably want to learn more than the basics that are in your reloading manual so that you can use the latest and greatest new components (especially bullets) and optimize your loads to your guns. There are a dizzying array of bullet weights, shapes, and coatings on the market now, and all sorts of variables that can affect the accuracy of your reloaded ammunition or its suitability for different applications like competition. With your shiny new reloading press, you’ll soon be able to experiment with all of them. 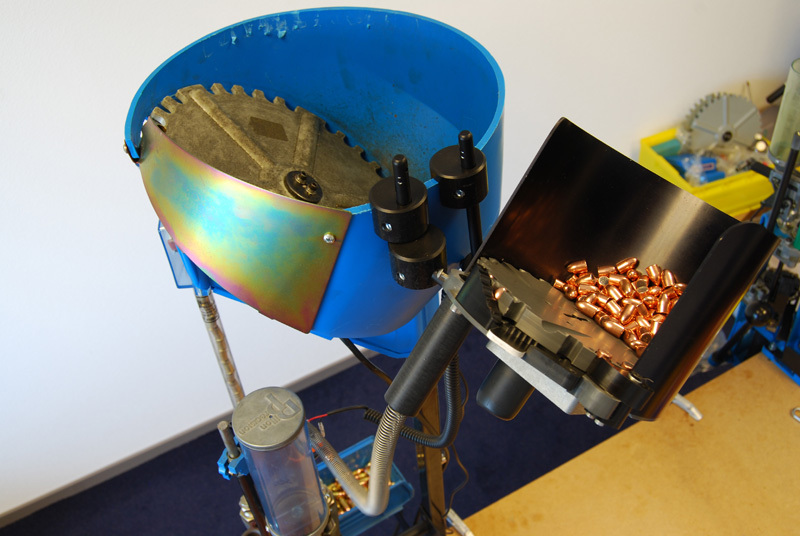 If you want to learn more about reloading, take a look at our complete Ammo & Reloading Guide. Use a different press? How many rounds per hour do you load? Let me know in the comments! I’ve heard about using wet steel for cleaning. It’s brought up wet steel can work harden the brass. Have you looked into this? Or have experienced case splits? How did you convert? What are some other things you can advise me of? Thanks. Have you tried the Lee presses? Do you have them in USA? Your opinion on Lee if you have experience with them, please? My husband has been reloading his ammo (9mm) with a single stage press for the last 27yrs, and now reloads for me too. He has a Lee single stage press, but does about 100x one stage, before changing out the die for the next step. It does take time, and especially now that he has to load ammo for me as well, we’ve considered saving for a multistage press (progressive). Glad we could help out, Jeff! You’ll want some sort of progressive press for faster production, and one with a removeable toolhead for faster die swaps. I started with the 550B for doing all those three listed and eventually upgraded to the 650 for 9mm since I shot it the most. Kept the 308 on the 550. And stopped 223 since prices were so cheap again…and I hated doing case prep. 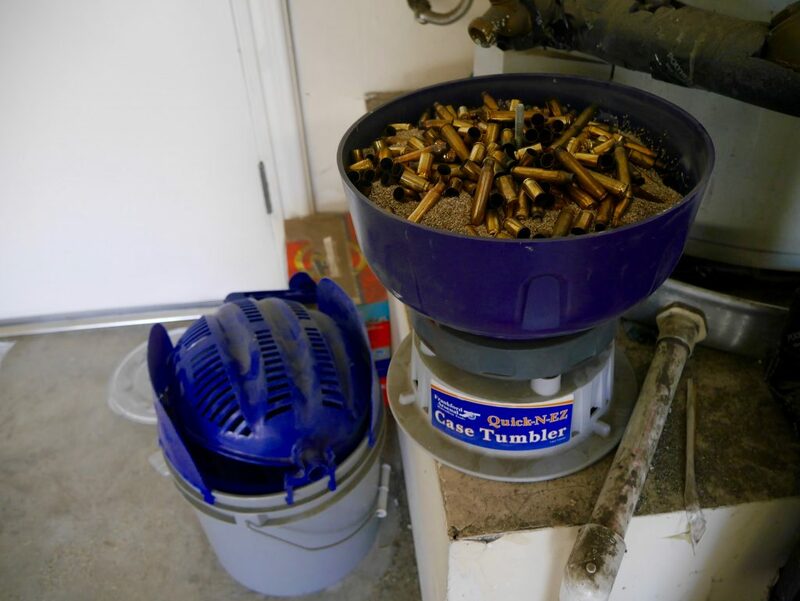 Sounds like you might be new to reloading and we’ve all been there. That being said I would recommend a single stage press such as the lee challenger. This press has quick change bushings and is easy to setup. You can easily do over 100 rounds per hour of those and any calibers, and it won’t break the bank.